The Nexus Framework is the simplest, most effective approach to applying Scrum at scale across multiple teams, sites, and time zones. Created by Scrum.org-the pioneering Scrum training and certification organization founded by Scrum co-creator Ken Schwaber-Nexus draws on decades of experience to address the unique challenges teams face in coming together, sharing work, and managing and minimizing dependencies. 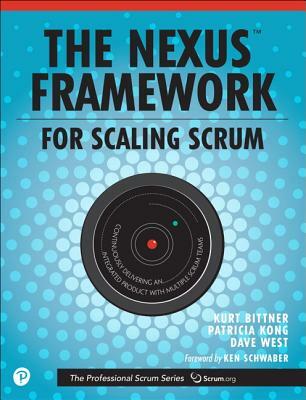 The Nexus(TM) Framework for Scaling Scrum is a concise book that shows how Nexus helps teams to deliver a complex, multi-platform, software-based product in short, frequent cycles, without sacrificing consistency or quality, and without adding unnecessary complexity or straying from Scrum's core principles. Using an extended case study, the authors illustrate how Nexus helps teams solve common scaling challenges like reducing cross-team dependencies, preserving team self-organization and transparency, and ensuring accountability.